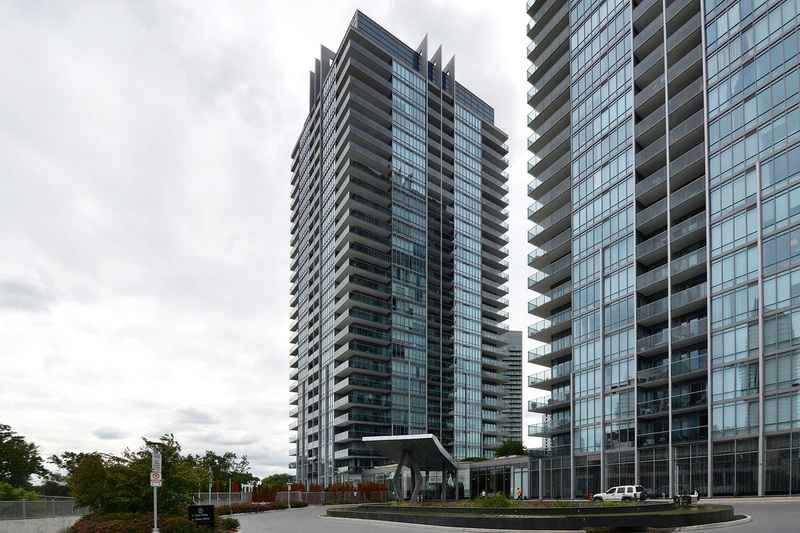 The South Beach condos in the residential hot spot of south Etobicoke’s Humber Shores are hard to miss, and they’re unforgettable. Art Deco makes a spectacular splash with South Beach’s two Art Deco-styled glass-and-steel towers. Topped with crowns in striking green and blue, the towers rise 27 storeys and overlook the lake with a style reflective of a stylish Miami neighborhood. (As dramatic as South Beach’s towers are, it’s understandable that you might not notice the reflective solar panels that generate energy for the building. The developers were serious about energy efficiency.) Sleek, luxurious designs are the hallmark of the building and its living spaces. South Beach, renowned for its thoughtful and imaginative construction, attracts a range of residents—from first-time buyers to executives to empty nesters redesigning their lives. South Beach is a $250+ million development at Park Lawn Road and Lakeshore Boulevard. The creation of Amexon Development Corporation, II BY IV Design Associates Inc. and Arsenault Architects, the condominium proudly reflects the developer’s commitment to beauty, value and energy-consciousness. Situated at Park Lawn Road and Lakeshore Boulevard, the South Beach condos are only a few minutes from downtown Toronto. Humber Bay Park and Lake Ontario are at the front door. Residents can easily access the Martin Goodman Trail, as well as the yacht clubs, parks and other amenities along the shoreline. 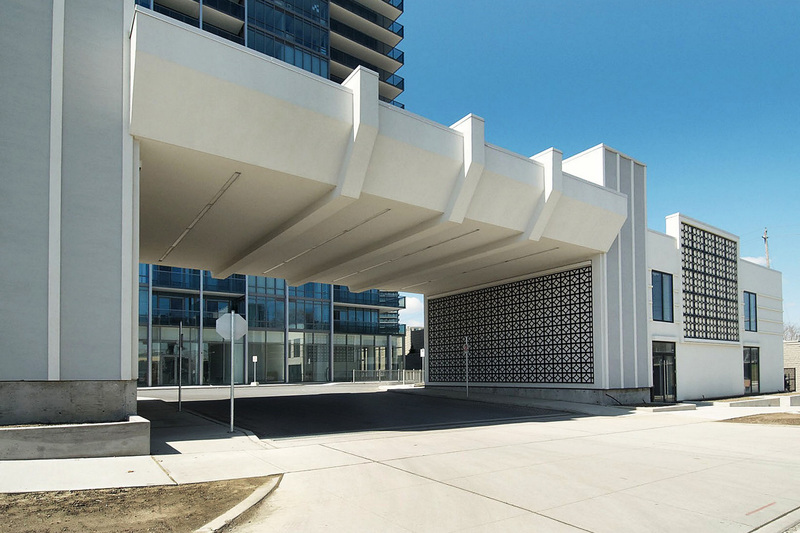 The South Beach condos Etobicoke retail promenade complements the fashionable Art Deco towers with Miami-style luxury. There are more than 16,000 square feet of shops and services, all illuminated in pastel neon, and including a cafe, a signature restaurant, gourmet food store, and full-service SOBE spa. 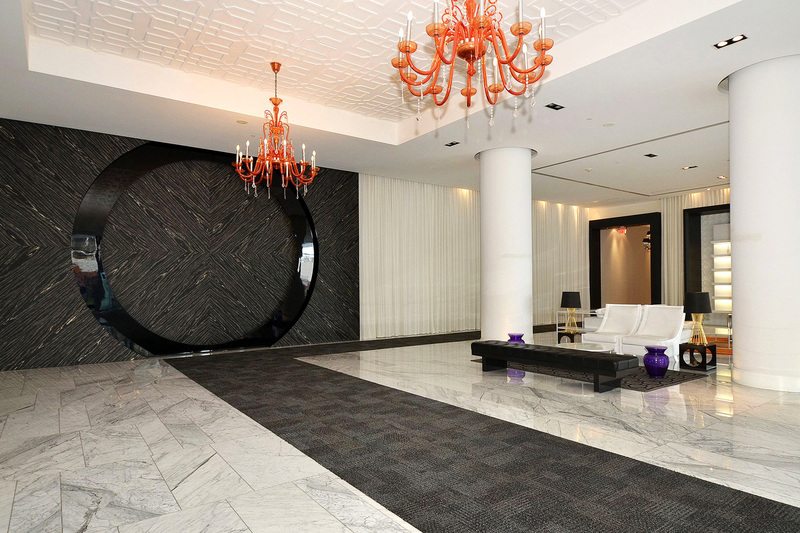 The building’s lobby is stylish and spacious, in the tradition of Miami’s grand hotels. The twenty-four concierge is conveniently officed here, and there are spacious seating areas for reading or meeting up with friends. Elegant chandeliers add a touch of luxury, and hallways feel expansive with their 8-foot doors and 9-foot ceilings. Suites are so lavishly appointed that many purchasers find they don’t need to consider any upgrades to move into their dream home. Open concept floor plans, engineered wood flooring, sliding glass doors to terraces, architecturally designed baseboards, door frames and casings, granite kitchen countertops, EnergyStar stainless steel appliances, Libherr fridges, custom-designed bathroom vanity with contemporary hardware, granite bathroom counters, soaker tub, porcelain flooring and wall tiles in tub enclosure, full width vanity mirror with wall-mounted lighting, stacked EnergyStar washer and dryer—the features go on and on. For suite security, the entry door is solid core with upgraded hardware and a security view hole. Additonally, each suite has a personally coded suite-intrusion alarm system with suite-door contact and keypad connected to the concierge desk. You can choose from a diverse collection of floor plans and finishes, ranging from the contemporary Loft Collection to the Art Deco-inspired Sobe Collection and from the modern Sky Collection to the grand Penthouse Collection. Suites and lofts range from 454 square foot one-bedroom layouts, to one-bed + den and two-bedroom plans, up to a two-level, 2,170 square foot penthouse. Amenities for residents are grand both in scale and in style. The Shore Club at South Beach is a spectacular 30,000 square-foot complex that features an outdoor reflective pool with private cabanas, sundeck and barbecue area, an indoor pool with glass walls that can be opened up to the terrace, whirlpool, steam rooms, saunas and luxurious change rooms. The up-to-date exercise facility offers a variety of fitness options: a gym, fitness/spinning room, yoga/meditation studio, martial arts/boxing room, squash court and basketball half-court. There is a play area dedicated to kids, and a hobby/crafts room. After a workout or a stressful day, you can take advantage of the massage rooms, juice bar and relaxation lounge. For more entertainment opportunities, the Ocean Drive Lounge features a Hollywood-style screening room/media room, library, event lounge with kitchen, private party room, billiards, a business centre, conference room, Internet lounge and wine storage/tasting bar. 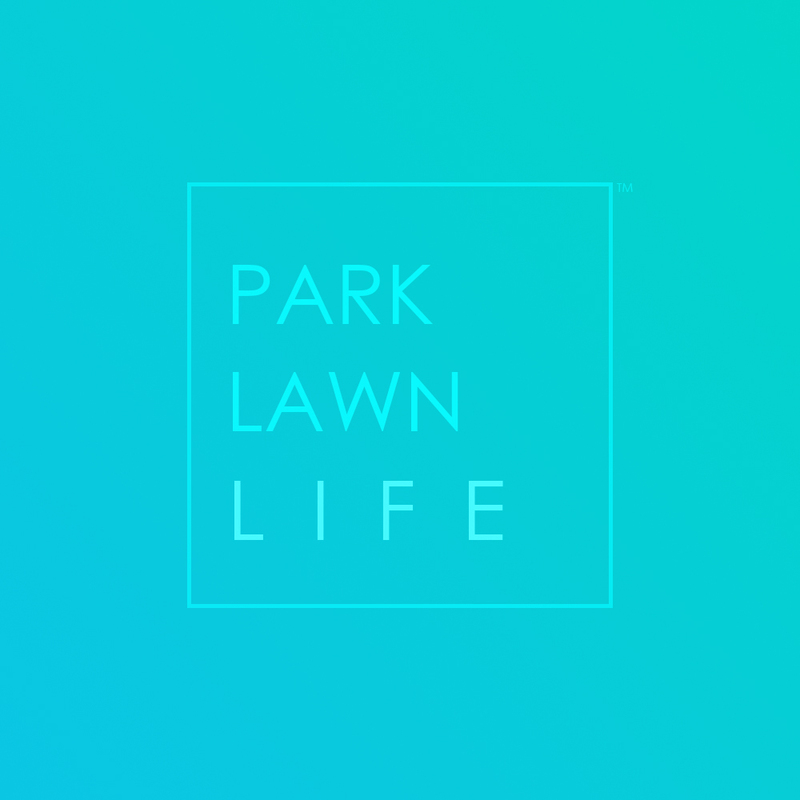 Add to that 24-hour concierge monitoring, three levels of underground parking, two hotel-style guest suites and an environmentally-conscious green solar design…it all comes together to create an outstanding living experience. And if you’re a dog lover, it gets even better. South Beach has a unique amenity for you—onsite dog day care. Make South Beach your home in Etobicoke. It’s true Miami-inspired luxury living on the beaches of Lake Ontario.